Baseline Survey Report -Akbar Village. Submitted to the Canadian International Development Agency (CIDA) Tsunami recovery project in 2008. Baseline Survey Report -Maligaikadu Village. Submitted to the Canadian International Development Agency (CIDA) Tsunami recovery project in 2008. Report on Surveillance of Chikungunya and its Impacts in the Sainthamaruthu MOH Division. Submitted to the SEUSL Research and Publication Committee 2009. Report on Quantitative Comparison between the Districts on Status of Democracy and Democratic Institutions and Conflict, Security and Peace in the Eastern Province. Submitted to the Marga Institute, Sri Lanka 2010. Report on Improving the Standard of Living of the Coastal Area Community of the Ampara District through a Modern Sustainable Farming Eco system. Submitted to the SEUSL Research and Publication Committee 2001. Report on the quantitative analysis of the Status of Democracy and Democratic Institutions and Conflict, Security and Peace in the Ampara District of the Eastern Province. Submitted to the Marga Institute, Sri Lanka 2010. Report on the quantitative analysis of the Status of Democracy and Democratic Institutions and Conflict, Security and Peace in the Batticaloa District of the Eastern Province. Submitted to the Marga Institute, Sri Lanka 2010. Report on the quantitative analysis of the Status of Democracy and Democratic Institutions and Conflict, Security and Peace in the Trincomalee District of the Eastern Province. Submitted to the Marga Institute, Sri Lanka 2010. Report on Testing Adaptability of some selected Paddy Varieties and Comparisons of Standard and Cultural Cultivating Methods Submitted to the SEUSL Research and Publication Committee 2002. Razmy AM (2010): Joint Monitoring of Process Mean and Variance with Shewhart Distance Scheme, Sri Lankan Journal of Applied Statistics. Vol. 2, 14 - 26. Razmy, AM and Peiris, T S G (2013). Design of Exponentially Weighted Moving Average Chart for Monitoring Standardized Process Variance. International Journal of Engineering and Technology. Vol. 13, 74-78. Razmy AM. & Peiris TSG (2013): Design of Exponentially Weighted Moving Average Scheme for Standardized Means. Sri Lankan Journal of Applied Statistics. Vol. 14 (2), 145 -152. Razmy AM (2014): Clinical Features of Chikungunya Infection In Sri Lanka, Asian Pacific Journal of Tropical Disease. Vol. 4 (2), 131-134. Razmy AM. & Peiris TSG (2014): Comparison of Rectangular and Elliptical Control Region EWMA Schemes for Joint Quality Monitoring, Open Journal of Statistics. Vol. 4 (11), 970-976. Razmy AM. & Rizath MMA (2014): Prevalence of Diabetic Retinopathy among Aged Diabetics Population in Sri Lanka. International Journal of Trends in Medical Science. Vol. 3 (12), 29 -33. 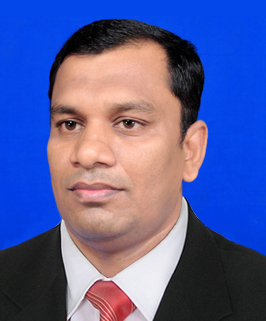 Kudagamage C., Chandrasiri GWJ. & Razmy AM (2002): Analysis of Long Term Trends in Banana Sector of Sri Lanka. Annals of the Sri Lanka Department of Agriculture, Vol. 4, 21 - 32. Ahmed AN. & Razmy AM (2005), Profitability of Paddy Production in the Coastal Region of the Ampara District, Journal of Agricultural Sciences - AGRIEAST Vol. 4, 64 - 71. Razmy AM & Ahmed AN (2005), Trends in Paddy Production in Sri Lanka, Journal of Management, Sri Lanka Vol. 3 (1), 26-33. Razmy AM., Safeena MIS., & Asmiya BF (2013). Carbon Credit Concept in Rice Production in Sri Lanka 3rd International Symposium, SEUSL. Vol. 3 (1) 83 - 85. Razmy AM., Ahmed AN., & Iqbal YB (2010), A solution for the problem caused by Eichornia crassipes in the Ampara District. Proceedings of the Workshop on Rebuilding of Tsunami Affected Areas in the Southern and Eastern Province of Sri Lanka -CIDA Restore Project. Vol.1, 73 - 80. Razmy AM. & Peiris TSG (2012): A Standard method to Compare the Combined Quality Monitoring Schemes using Average Run Length Properties. 2nd International Symposium -2012, South Eastern University of Sri Lanka. 172-173. Razmy AM. & Shajitha SH (2012): Association between Maternal Factors and Fetal Outcome in the Sainthamaruthu MOH Division. Jaffna University International Research Conference 2012, 103p. Razmy AM. & Peiris TSG (2014): A Novel Joint Quality Monitoring Approach for Industrial Application. 1st Quality Symposium -2014, Sri Lanka Standard Institution. 1-5. Razmy AM. & Jazeel MII (2014): The Impact of Students' Intake Quality on the Performance of Engineering Undergraduates. 4th International Symposium -2014, South Eastern University of Sri Lanka. 490-492. Razmy AM. (2014): Assessing the Quality of Teaching through Students' Performance. International Conference on Chemical Education 2014, Colombo. 99 - 102. Razmy AM (2012): The Impact of Intake Quality in Student Performance in Science Undergraduate Program. Annual Science Research Session-2012, South Eastern University of Sri Lanka. 14p. Razmy AM (2011): Surveillance of Chikungunya and its Impacts in the Sainthamaruthu MOH Division, International Symposium 2011 on Post - War Economic Development through Science, Technology and Management, South Eastern University of Sri Lanka. 67p. Razmy AM (2013): Relative Risk for Tuberculosis in the Sammanthurai DS Division. Annual Science Research Session-2013, South Eastern University of Sri Lanka. 25p. Razmy AM. & Shajitha SH (2012): Comparison of Low Birth Weight Prevalence in the Sainthamaruthu MOH Division with National Prevalence. Annual Science Research Session-2012, South Eastern University of Sri Lanka. 25p. Rahman ALF & Razmy AM (2011): Male Participation in Family Planning, International Symposium on Post - War Economic Development through Science, Technology and Management, South Eastern University. 121p. Jahan MACA., Razmy AM., Ragel RG., & Deegalla S. (2013): Performance Analysis of Supervised Learning Classifiers for the Prediction of Child Birth Weight. Annual Science Research Session-2013, South Eastern University of Sri Lanka. 28p. Razmy AM., & Ilahi MMSJ (2010), Prevalence of Low Birth Weight among Babies in the Ampara GH. Annual Research Session-Towards Post War Development, Eastern University of Sri Lanka. 55p. Basnayake B F A., & Razmy A M.(1998), Designing of an Aeration System for the Inclined Step Grated Compost Making Vassal for Urban Solid Waste Management: Optimizing the Chimney effect. Annual Staff Research session 1998, University of Peradeniya, Sri-Lanka. 75p. Fazal MACM., Ibralebbe MS & Razmy AM. (2014): Prevalence of Anaemia among Pregnant Mothers in Kalmunai RDHS Division. 19th Annual Scientific Sessions-2014, College of Community Physicians of Sri Lanka. 8p. Rifka SLF., & Razmy AM (2013): Paddy production Model in Sri Lanka through Regression Analysis. Annual Science Research Session-2013, South Eastern University of Sri Lanka. 22p. Nafrees MAC & Razmy AM (2011): A Study of Association between Diabetic and Job Stress. International Symposium on Post - War Economic Development through Science, Technology and Management, South Eastern University. 119p. Basnayake B F A., & Razmy A M.(1998), Importance of Aeration System for Urban Solid waste Management. 54th Annual Session of the Sri Lanka Association for the Advancement of Science. 76p. Basnayake B F A., Fernando D S., & Razmy AM (1998), Development Of Design Parameters For An Inclined Step-Grate Compost Vessel To Treat Urban Solid Wastes. Annual Forest & Environment Symposium, Ministry of Forest & Environment and Faculty of Science, Sri Jayawardenapura University, Sri Lanka. 27p. Razmy AM. & Peiris TSG (2014): An Improved Exponentially Weighted Moving Average Chart for Monitoring Process Variance, Australian Statistical Conference 2014 in Sydney. Statistical Society of Australia Inc.
Razmy AM. (2014): Assessing the Quality of Teaching through Students' Performance. International Conference on Chemical Education, Institute of Chemistry, Sri Lanka. 99p. Recipient of the Statistical Society of Australia Inc. (SSAI) International Grant 2014 for the exchange of Statistical Research and for presenting research outcomes in the Australian Statistical Conference 2014, Sydney. Training Course for Teaching Assistants Conducted by the Centre for Development of Teaching and Learning (CDTL), National university of Singapore, Singapore, July 2004. Training Programme on Teaching Methodology, Conducted by the Staff Development Centre, University of Peradeniya, Sri Lanka from January 2006 to June 2006. Training Course on Lessons Learnt from the 2004 Indian Ocean Tsunami Disaster Rehabilitation and Reconstruction Process in Banda Ache, Indonesia. Organized by the Tsunami and Disaster Management Research Center, Syiah Kulah University, Indonesia form 2nd March 2009 to 6th March 2009. Short term program on Statistical Analysis of Epidemiology data, Medical School, Queensland University, Australia 2014. Short Course on Actuarial Statistics: Mathematical and Computational Applications. Conducted by Post graduate Institute of Science, University of Peradeniya, Sri Lanka from 29th April 2006 to 30th April 2006. Workshop on Post-Tsunami Rebuilding and Recovery in India at Center for Research in International New Economic Order, India from 25th October 2007 to 31st October 2007. Workshop on Multivariate Analysis of Ecological & Environmental Data Conducted by Post graduate Institute of Science, University of Peradeniya, Sri Lanka from 10th July 2001 to 12th July 2001. Training Course on R statistical Method. Organized by the University of Kalaniya and Ministry of Higher Education. October -November 2013. Training Course on Postharvest Technology of Rice and other Food Grains organized by the Rice processing research and development centre from 08th December 1997 to 12th February 1997. Work shop on Disaster Management organized by the Canadian International Development Agency Tsunami Restore Project at South Eastern University of Sri Lanka 05th April 2009. Workshop on Innovative and Interactive Teaching Methods organized by the Quality Assurance Council (QAAC) of Sri Lanka at South Eastern university of Sri Lanka on 24th December 2008. Work shop on Leadership, Innovation and Entrepreneurship organized by the Canadian International Development Agency Tsunami Restore Project at Kandy on 22nd February 2008. Work shop on Peace and Conflict Resolution organized by the Canadian International Development Agency Tsunami Restore Project at Kandy 20th February 2008 to 21st February 2008. Work shop on Disaster Management frame works for disaster preparedness organized by the University of Manitoba, Canada and South Eastern University of Sri Lanka form 28th October to 2th October 2008. Visiting Lecturer, American College of Higher Education, Kandy. Resource person for the Leadership and Positive Attitude Development Residential Training Programme Conducted by the Ministry of Higher Education for the New University Entrants. Resource person for the Training on Analysis of Rank data for the Research Officers of the Department of Agriculture Conducted by the Horticultural Crop Research and Development Institute, Sri Lanka. Consultant in Statistics: Department of Agriculture, Department of Education, Health Department etc. Resource person for teaching statistical packages such as SAS, SPSS and Minitab and SAS programming in various Institutes.